Home » Tick Control » Winter Ticks. Are They A Health Risk? Winter Ticks. Are They A Health Risk? 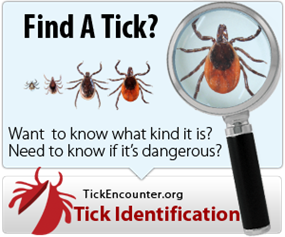 Have you heard of the winter tick? Ticks are surviving longer into the winter months, and with that comes the potential of further exposure to these pests and Lyme disease. There are many different types of tick, some which can transmit serious illnesses and some which are not so harmful, but are still a pest! Did you know that there actually is a winter tick? This little sucker isn’t known to carry diseases that are of concern to humans, but it does have a tendency to hang around longer throughout the winter… hence its name! So the bad news… As the ticks that are a threat to us, such as the black legged tick, increase in population, the winter tick decreases. Although we’d rather ticks stay away altogether, it’s safe to say that if they have to hang around, we’d rather have those that don’t put our health at risk. The worrying fact is that the threat that ticks pose to us is still not taken as seriously as it should be. Whether it’s tick season or not, we should all be making sure we are protected from ticks, and of course our four legged friends are safe too. Your dog has blood parasites” – I am sure those of us, pet owners, who heard this diagnosis for the first time would be shocked, desperate and certainly panic. Blood parasites sounds rather serious, dangerous and deadly. And most certainly, it is. In this article I will try to explain the basics: how do dogs get it, what are the different types of parasites, and finally, how to recognize the symptoms and how to treat and prevent it. If you find a tick on your body after a thorough check from being outside, or if you find one on your pet, then you need to know how to remove a tick safely. Whether it’s one of the dangerous species or not, ticks need to be removed as soon as possible once they have been discovered. You should also keep an eye on any developing symptoms following the bite, and know what you should be looking out for. Virtual Assistant and blogger supporting small businesses and individuals with their day to day administrative duties. A fan of a nice cup of tea, a vintage camera, books, music, writing and meeting new and exciting people developing their own ventures. Request a quote! Fill in the form and scroll to bottom to send.